The third annual Sewanee Monologues took place this year on February 17 with more participation than ever before. Thirty-six monologues were submitted and performed by thirty-four brave Sewanee students (and one alum), packing Guerry Auditorium nearly to capacity. The stories ranged from hookups, to Diva Cup disasters, and everything in between. 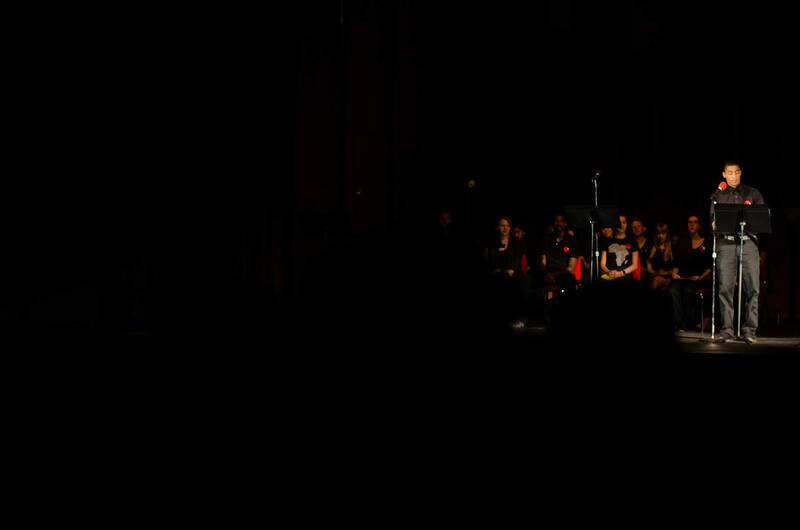 A special second section was added to Monologues for seven unbelievably strong students who chose to not to read their stories anonymously, and it proved a hit with students and faculty alike. Dean Hagi was even overheard talking about “basic boys” in his office the next day. While several of these monologues highlighted the funny, heartwarming, and wonderful aspects of Sewanee, many more told heartbreaking stories of sexual violence. The Bairnwick Women’s Center, responsible for putting on the event every year, use these monologues to call attention to the undeniable presence of sexual violence on this campus and give a voice to its many survivors. Students presenting the monologues wore red pins distributed by the Women’s Center to represent the number of sexual assaults officially reported last semester alone: 17. With such shocking statistics and humanizing stories, it is hard to ignore something that is so obviously an issue not just on Sewanee’s campus, but on college campuses across the nation. In many ways, this year’s Sewanee Monologues served as a call to action, because it is clear that something must be done. If you know someone who submitted a monologue, congratulate them for their strength because it takes a lot to bare one’s soul, even anonymously, to the entire school. Thanks to everyone who made Sewanee Monologues possible once again, and special thanks to the Women’s Center for everything they do. Sewanee Monologues is becoming an amazing tradition that should be upheld for years to come.